In modern solutions for interior decoration minimalism is increasingly prevailing. This applies not only to living rooms, but also bathrooms and toilets. 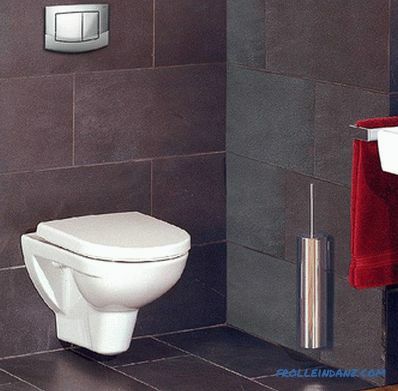 In the article we will talk about how to choose the installation for the toilet, which company is best suited, as well as give advice on installation. For us, the design is customary, in which the tank is clearly visible. It can be placed at a small height directly above the toilet or under the ceiling, as it used to be in communal apartments and dormitories. An installation is a structure that represents a small metal frame. It sinks into the wall niche and allows you to hide all communications nodes that fit the toilet. 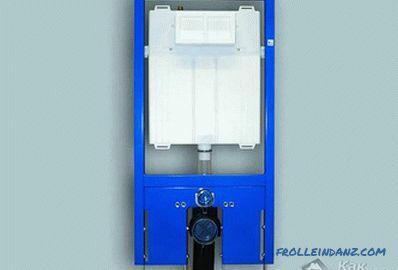 The sanitary device itself can be suspended or floor mounted. There is only a flush key on the wall. The suspension system has its own indisputable advantages in comparison with classical and bypasses it practically in all parameters. Compact dimensions. This solution takes up much less space than a conventional toilet bowl. 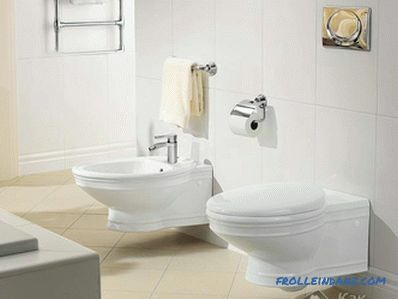 This can be critical especially when the total area of ​​the bathroom is small. More efficient fittings. Since all the main units will be hidden in the wall, it is very inconvenient to constantly change or repair something. Given this, manufacturers pay great attention to the quality of keyboards and float elements. Saving water. 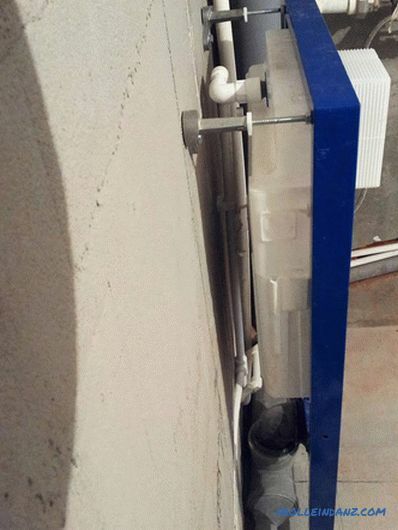 Compared to a conventional cistern that is designed for an installation system, it more efficiently feeds pressure and consumes less liquid. In addition, in some cases, you yourself can adjust these parameters. Possibility of installation in hollow walls. This is very important in cases where the bathroom was finished where previously there was none. 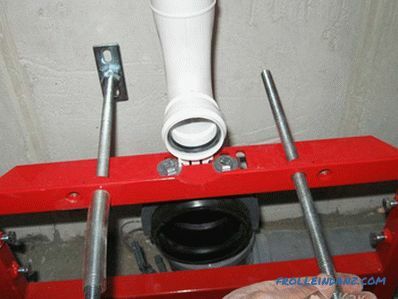 The metal frame can also become a support for other plumbing fixtures. Any place to install. 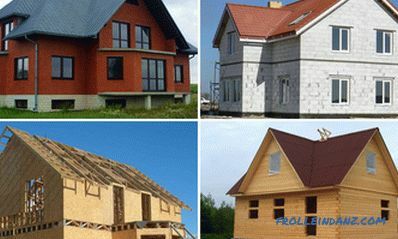 If the right approach to the choice of installation, in some cases you can not even be attached to the walls. Less noise when flushing water. Typically, tanks have an additional layer of foam, which provides good sound insulation. Easy to clean. In the case when the installation is planned for a suspended toilet, you get free access to the space under it. Most likely, you have more than once found yourself thinking that it is difficult to wash a part of the room behind the usual toilet. 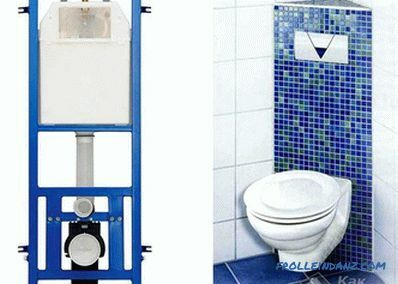 The cost of such systems is several times higher than the price of conventional toilet bowls. In case you want to replace the entire system, you will have to make significant repairs in the bathroom. 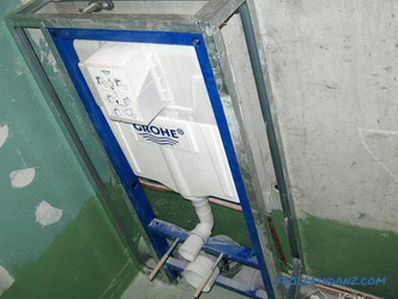 The installation process is much more complicated than installing ordinary sanitary facilities. It will collapse under weight. 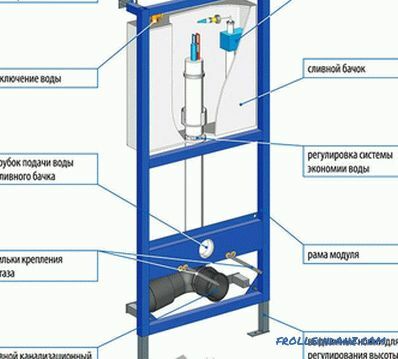 In fact, a hanging toilet can withstand weight up to 300 kg (some models up to 400 kg). This is the weight of three adults. To break it off, you will need to make a lot of effort. Broken - disassemble the wall. In fact, repair and replacement of accessories is very easy to make. The layout is made in such a way that access to all the details is possible if you simply remove the drain key. For the connection points are provided revision doors. Where the future design will be located. Is it possible to make a recess in the wall, or it will be necessary to sew a ready-made construction with drywall in a false wall. Will it be a hanging toilet or just need to hide the cistern. Is additional material needed for supplying communications? What will be the key material. 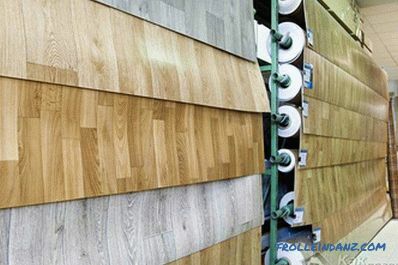 Most manufacturers provide a guarantee on their products. It is therefore very important when buying to require all the relevant documents, as well as a mark in the official coupon. After that, it is important to keep the relevant papers for a specified period of time. Block. 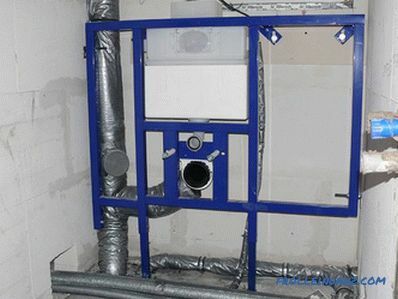 It implies the ability to hide all communications connections, as well as the tank itself into the wall, which allows saving an additional 10‒15 cm. The toilet itself, as in the usual version, is installed on the floor and has no reference points in the wall. Frame. It consists of a steel structure that hides in the wall and serves as a support for all elements. 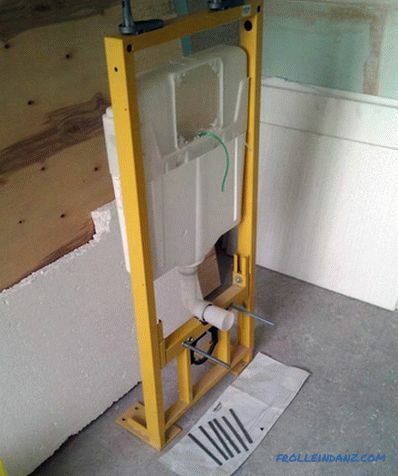 In this case, you can easily mount a hanging bathroom.When choosing this option, you need to be careful that all components are compatible with each other. Some frames are designed not only for installing a toilet bowl, but also for sinks. Wall mounted. Used most often. In this case, the fixation occurs to the main wall with studs or anchor bolts. All pressure is on the switch. Outdoor. 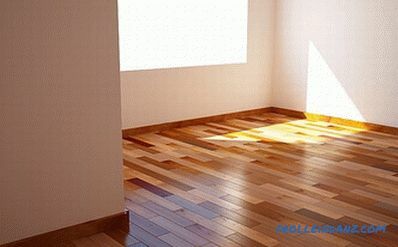 Suitable for those cases where the partition is made of drywall or other material that is not designed for heavy loads. In this case, the main support function falls on the floor. In such frames, the lower part is expanded and further strengthened. Corner. In this case, the frame itself has a triangular design that allows you to perfectly drown it into a corner, hiding all the elements. Great for narrow bathrooms where every inch counts. Bilateral or partition wall. In this case, you get the advantage of placing a bathroom on the one hand, and on the other - a sink or bidet. In line. In this case, the frame has a sufficiently long structure that allows you to place several devices on the same wall. These can be sinks, bidets or toilet bowls. Limited height. This is a special kind of low installation. It is used in cases when the elements need to be placed, for example, under the window. With forced stop. In this case, you get the opportunity, by pressing the key, to activate the flow, and repeated exposure will stop the flow. Double key. Each of them is designed for its own purposes. One contributes to greater supply pressure, the second - allows you to save costs when you do not need to lower the entire volume. Sensory. Work in the case when you hold the palm or when you just leave the place. When buying, always pay attention to the delivery equipment. Check everything according to the list, which is most often given in the instructions. If this is not done immediately, then you will have to spend time on unnecessary trips, as well as unscrupulous sellers may deny the fact of shortage of something if you unpacked the product at home. The place of the future installation is prepared for construction. Perhaps a niche is made or the space is simply cleared. With a chalk or marker, drawing on a level, a vertical line is drawn. It should be axial for future construction. A markup is made, at what distance the frame will be from the wall. If the sewer pipe comes up to the side, then it is necessary to retreat the size of the nozzle plus a few centimeters of clearance. The size of our future cistern recedes from the centerline in two directions and make notes. We try on the frame and mark the holes in the floor and walls. We measure 1 m from the floor (for a standard installation) and make a mark. This is the top point of our cistern. Once again we put the frame in its proper place. We expose the label applied to it on a par with that which is plotted at the level of 1 m. With the help of the level we expose the horizontal plane. Fasten the structure to the floor with anchor bolts and to the wall with studs. Using the level and adjustment screws, set the vertical plane. We make a sewer supply pipe. Inside the tank, install the valve and supply hose. From the outside we carry out the supply. Insert the plug into the key hole. Next is the lining, which hides all the elements. The plug is trimmed to the required size and the shutter button is mounted in its place. The toilet itself is suspended. 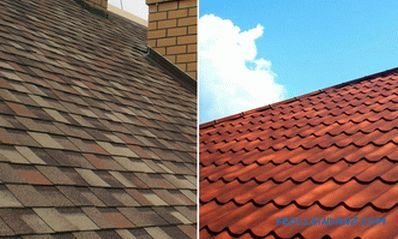 Usually in the documentation that comes with it, specified the correct order of the installation work. Therefore, never in a hurry to throw away your passport. All that concerns the manufacturer, whether it will be Geberit or Grohe - is at your discretion. 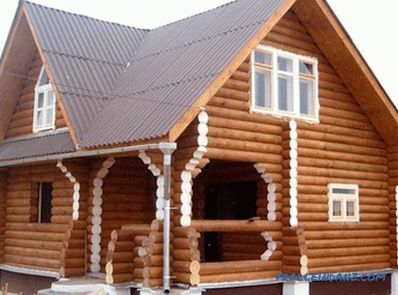 Remember that this design is not the option to save on, better spend more money, but do not have a headache in the future.